You're probably sick to death of hearing about it by now. It's been splashed over everyone's Twitter and Instagram feeds, but that ELL-EFF-DOUBLE-YEW hashtag is finally drawing to an end. Well, until September at least! I made the executive decision to only attend for 3 out of the 5 days... actually, it was more 2.5 days as the Sunday was very much short-lived, because the almighty heavens decided to open upon us at Somerset House. 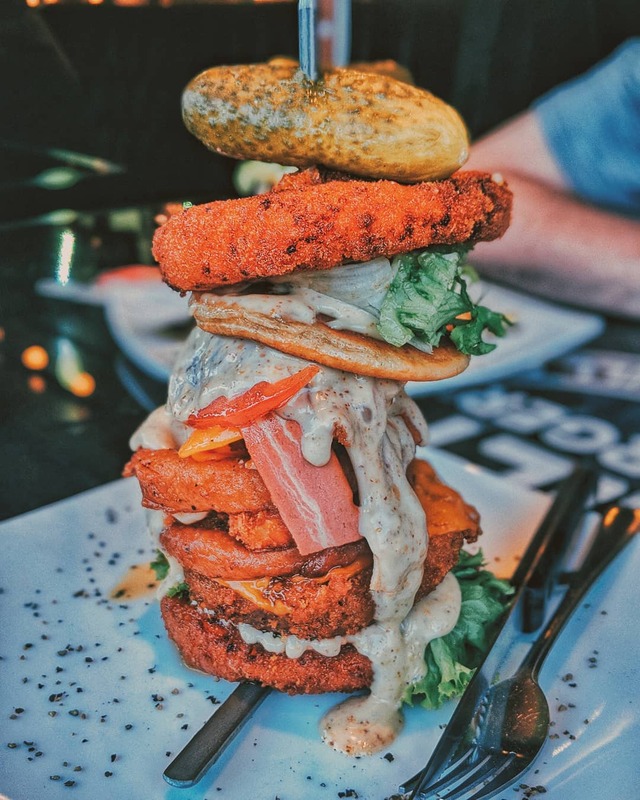 So, looking like drowned rats without attending a single show that day, we decided to hide in the deep depths of McDonald's cuddled over an absolute beast of a burger feast. 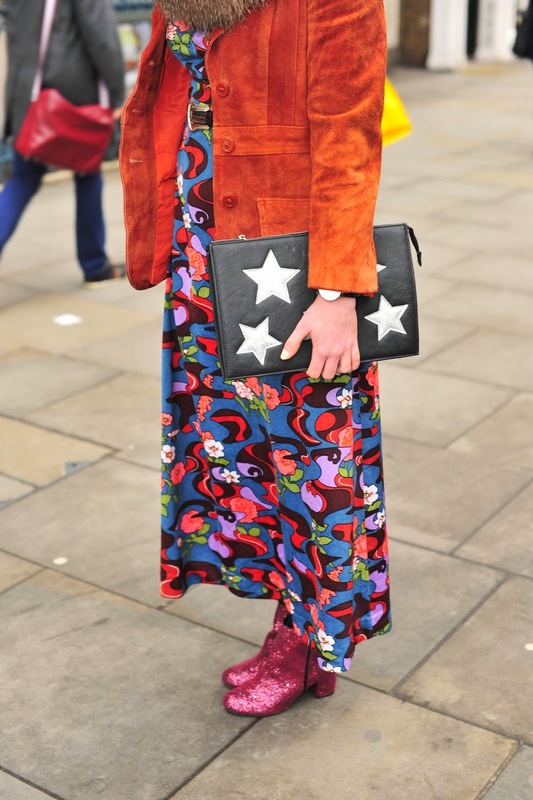 The Beyond Retro super squad came to my rescue and let me raid their Cheshire Street store to pick out some outfits for London Fashion Week a few days before it began. I was like a kid in a candy shop, I tell you! Having free range over a treasure trove of vintage clothes is THE dream. 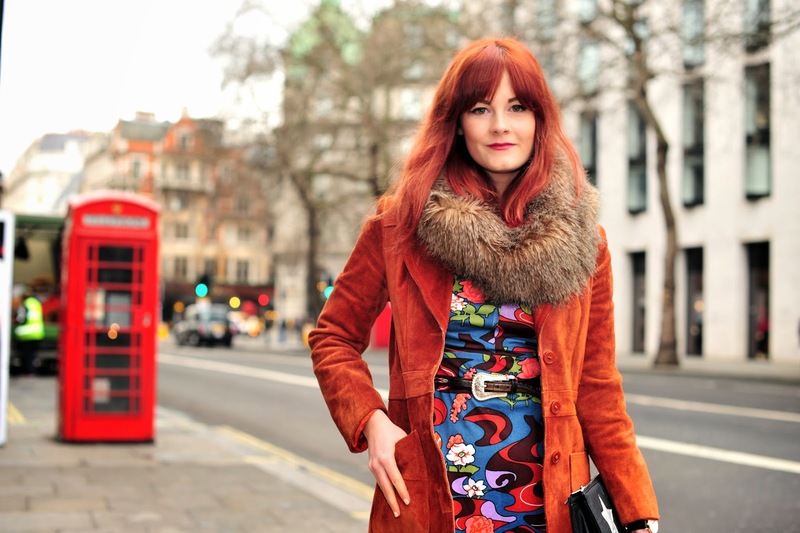 Both this 1970's suede jacket and vibrant, floral maxi dress were from BR, whilst I doubled up on ASOS accessories. 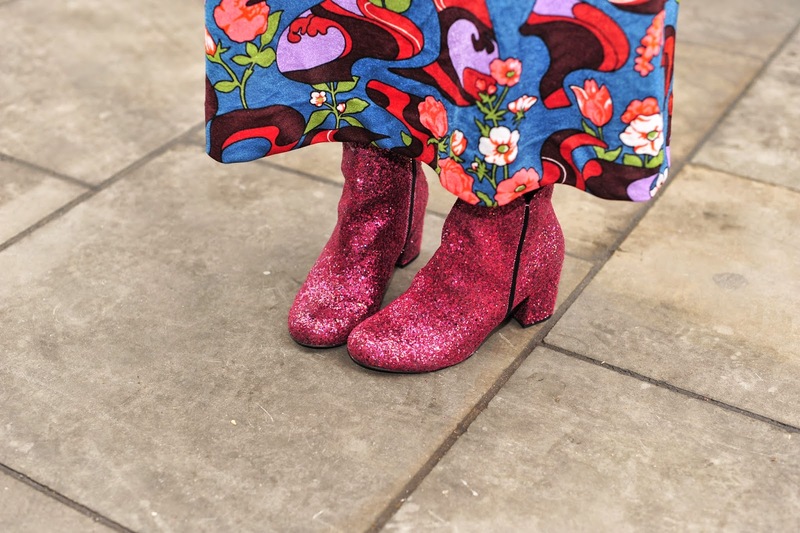 The glitter boots are a close second to the dreamy Saint Laurent boots I coo-ed over from last season. They're just as saucy, but for 1/10th of the price point... barrrgaaaainn! 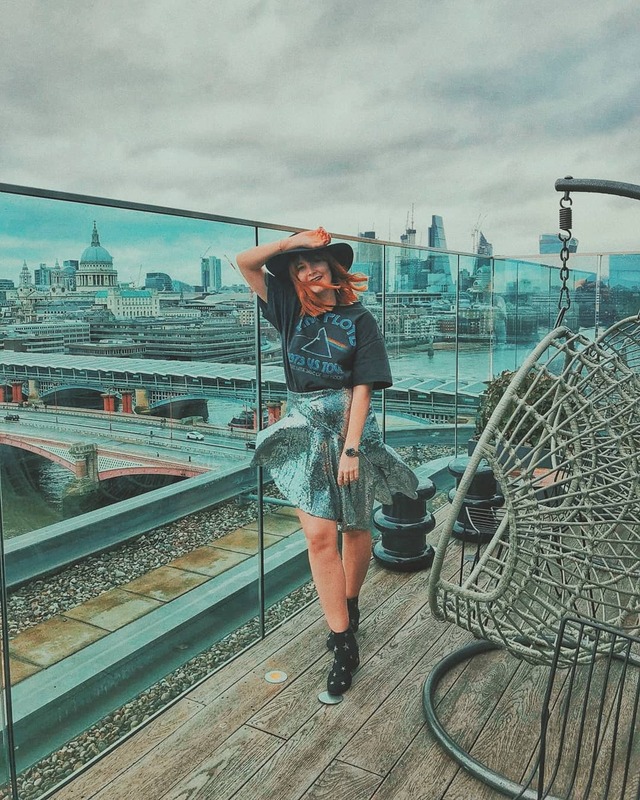 The Friday was seen in schmoozing at Somerset House, catching the rainbow-fuelled Fyodor Golan show and drinking the bar dry of prosecco with my fellow boozy bloggers at the UGG UK after party. Friday was pretty bloody good actually. THAT COAT! 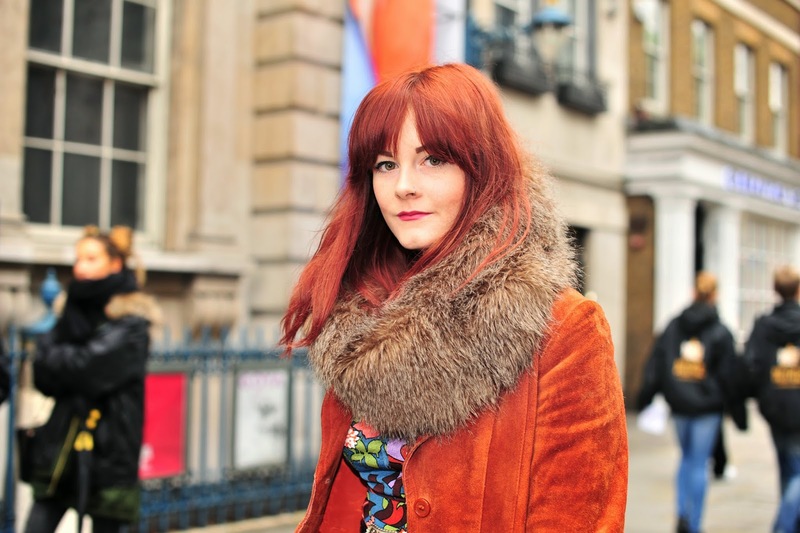 That coat is to die for & it matches your hair PERFECTLY! I hope you are enjoying LFW. You keep popping up in my instagram feed! Loving the 70's vibes! You look amazing, very London style! Wow those boots are pretty special! Completely in love with them! 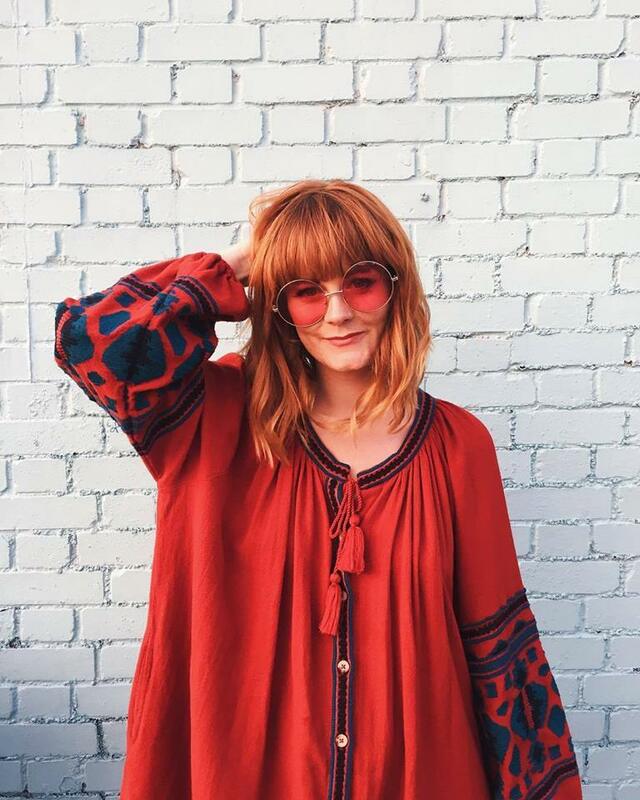 I'm deeply in love with this amazing outfit, I love the 70s (& 60s + 90s too), this outfit is just perfect, I love every single piece, such a great styling ! 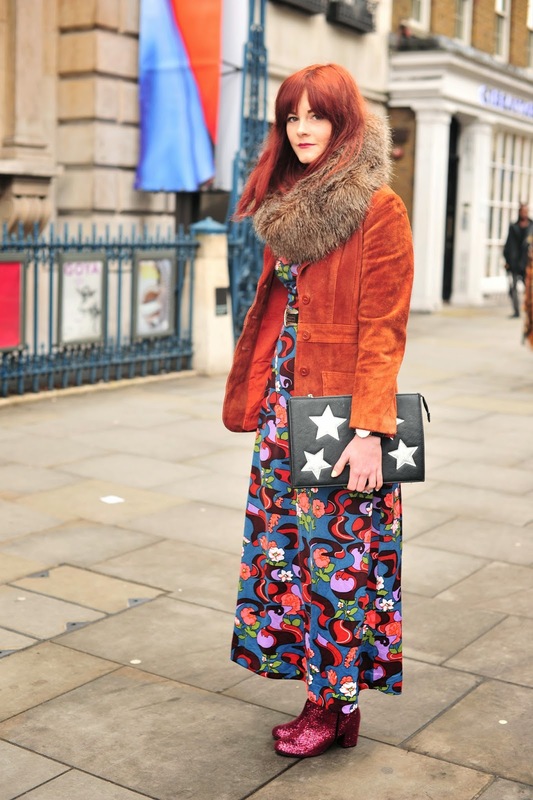 It's my fav of all of LFW streetstyles I've seen.